Transpek-Silox manufactures Zinc Carbonate, which is used as a Sulphur absorber in the petroleum industry, and as a transparent activator in the rubber industry. Zinc Carbonate also has applications in beauty care & cosmetic/pharmaceutical products. Filtron Envirotech (India) is the leading Manufacturer, Exporter & Supplier of Oil Drilling Chemicals, Specialty Zinc Carbonate. We are into manufacturing of Zinc Carbonate Delhi Based and Stands for assurance of quality of all Products manufactured at our Manufacturing Facility. The Zinc Carbonate manufactured by our company are sold in all over Countries worldwide. We offer wide range of high quality zinc sulphate and zinc carbonate which is formulated as per the recommended standards. The compositions of these chemicals can be altered as per the citations of our clients. - Zinc Sulphate: Crystal, tech & pure grades. We are engaged in the Manufacturing and Exporting of Zinc Carbonate. 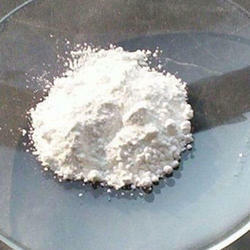 The Zinc Carbonate we supply is in high demand in the global market. The Zinc Carbonate available with us is safe to use and skin-friendly. We have been consistently exporting the Zinc Carbonate to the international market at affordable prices. we are offering our clients with Zinc Carbonate that meets highest quality standards. Used as a transparent activator in rubber, Zinc Carbonate is widely used in beauty care & cosmetic products and pharma products. This also finds wide application as sulphur absorber in the petroleum industry. GMC H2S Sacv is used to remove Hydrogen Sulphide from drilling fluids and protecting Rig staff from it. It also protects against sulphide stress corrosion. It is non-corrosive to metals and is effective over wide range of pH. We offer our customers high grade Zinc Carbonate that is formulated with the best chemical composition. It is featured with absolute purity and long shelf life. Our Zinc Carbonate is used in diverse industries like chemical and pharmaceutical industries.